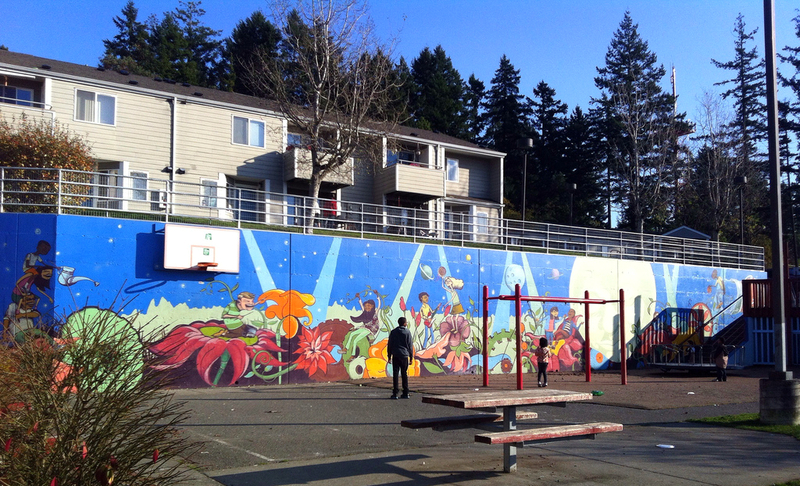 Hello, I am an artist who worked on this mural as part of the Tacoma Murals Project in 2011 with a team of others. I am currently submitting my resume for another mural project and was wondering if I could use your photographs in my resume? I will be happy to credit you. That would be fine. I’m happy to be able to help. It is a terrific mural. Really one of my favorites. Please credit with my real name, which is Mary Letterman. And best of luck I look forward to seeing your other murals.